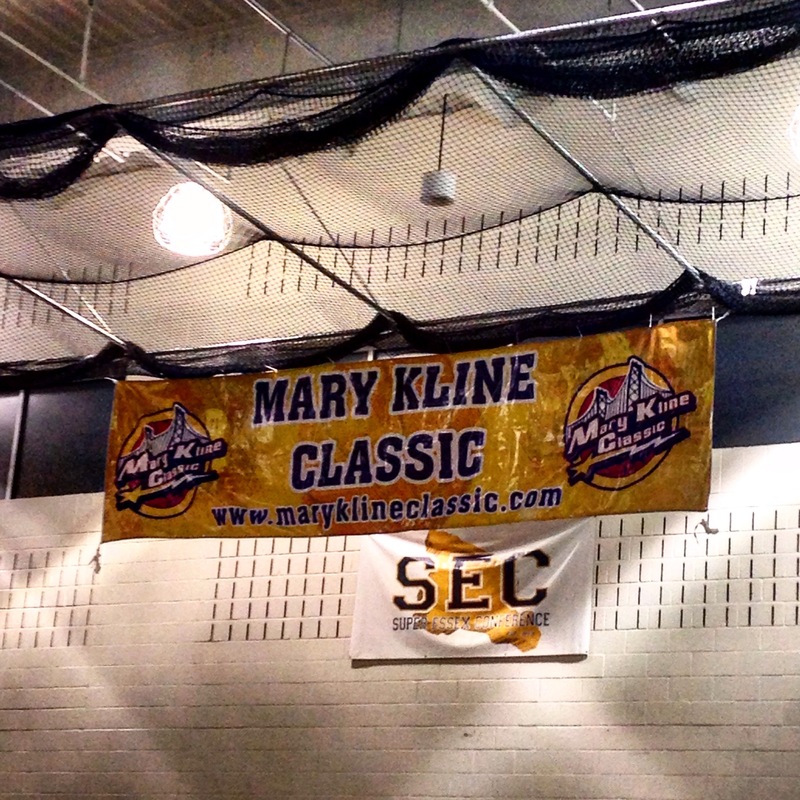 This past weekend, there was a lot of greatness at the Mary Kline Classic. The event, which was in its fifth year of inception, raised $43,000 in charity in order to raise funds against the battle for cancer, bringing it to a total of $131,000. They also brought out some of the most talented players thoughout the country. This event was founded in 2011 by famed talent evaluator Alex Kline of The Recruit Scoop, as a dedication to his late mother, Mary Kline, who passed away when he was 10 years old. Since its inception, a lot of major talent has passed through the MKC, such as current NBA draft hopefuls Rondae Hollis-Jefferson (Arizona), Karl-Anthony Towns (Kentucky) and Chris McCullough (Syracuse). Its current college alumni include Ja’Quan Newton (Miami), Wayne Selden (Kansas), DeAndre Bembry (St. Joseph’s), Rysheed Jordan (St. John’s) and Isaiah Whitehead (Seton Hall) to name a few. This year’s event was nothing short of spectacular as many of the top players in the classes of 2015, 2016 and 2017 were in attendance. In the underclassmen game featuring the sophomores and juniors, Team Inspiration defeated Team Bravery, 139-132. Chris Lykes, a sophomore at Gonzaga High School in Washington, DC, won the MVP award for Team Inspiration and Curtis Jones, a junior at Huntington Prep in Huntington, WV, won the Sportsmanship award for Team Bravery. In between these two games, there was a three-point shootout, won by Ty Jerome, a junior at Iona Prepatory School in New Rochelle, NY and a dunk contest, which was won by Derrick Jones, a senior at Archbishop Carroll High School in Radnor, PA, who will be headed to UNLV in the fall. The senior game, which featured the graduating seniors in the Class of 2015, was also spectacular and filled with plenty of tremendous players that will be seen on national television in the fall. The MVP and Sportsmanship awards went to Jones and Prince Ali of the Sagemont School in Weston, FL, respectively. Michael Porter, Jr., Father Tolton Catholic (MO), Class of 2017 – Porter is an athletic forward that can score, rebound, shoot and take it to the cup in many ways. His game is similar to Kevin Durant of the Oklahoma City Thunder. He can also dominate when he has the ball in his hands. He holds offers from Kansas, Missouri, Baylor, Colorado, Illinois, Indiana, Iowa, SMU, Virginia, Washington, Wichita State and Marquette. Chris Lykes, Gonzaga (DC), Class of 2017 – Lykes is a small point guard that has a tremendous handle and can run a team. He also can knock down shots from many places on the court. He holds offers from Dayton, George Mason, Richmond, George Washington, Siena, Old Dominion and Hofstra. Mamadou Diarra, Woodstock Academy (CT), Class of 2016 – Diarra is a big that is aggressive at the rim and can rebound efficiently. He is definitely a high-major talent. He has a verbal commitment to UConn. Hamidou Diallo, Woodstock Academy (CT), Class of 2017 – Diallo is a guard that is very athletic and can also shoot from plenty of places on the court. He holds offers from Seton Hall, VCU, Iowa State, UMass, Minnesota, Providence, St. Bonaventure, UConn, Fairfield, Cal State-Bakersfield, Iona, Quinnipiac, St. John’s, St. Peter’s, Duquesne, USC, Temple and Wake Forest. Bruce Brown, Vermont Academy (VT), Class of 2016 – Brown is an offensive dynamo. He is a player that can do damage on the rim and also on the wings. He holds offers from Georgetown, VCU, SMU, St. John’s, Purdue, Creighton, UMass, Purdue, Boston College, Rhode Island, Miami, UConn, Minnesota, Manhattan, Texas Tech, Providence, Virginia Tech, Iowa State, Arizona State, Auburn, Texas, Wake Forest, Tulsa, Indiana, Pittsburgh and Michigan. Kyle Guy, Lawrence Central (IN), Class of 2016 – Guy is a player that can shoot the lights out. He is deadly from three-point range. He has a verbal commitment to the University of Virginia. Jagan Mosely, St. Anthony (NJ), Class of 2016 – Mosely is a hot shooter, great passer and a player that is prone to assaulting the rim on the regular. He holds offers from Georgia Tech, Rhode Island, UPenn, Davidson, Northwestern, Rice, Pittsburgh, SMU, Seton Hall, Boston University, Harvard, Princeton, Columbia, Fairfield, Brown, Rutgers, Niagara and Xavier. Sedee Keita, 22 Feet Academy (SC), Class of 2016 – Keita is a definite big man that is mobile in the paint and can also damage defensively. He holds offers from Syracuse, Mississippi State, Seton Hall, South Carolina, Auburn, South Florida, Providence, Memphis, Texas Tech, UNLV, Penn State, Iowa State, VCU, Villanova, Rutgers, Fairfield, Iowa, Temple, UMass, Tulsa, Xavier and Tennessee. Curtis Jones, Huntington Prep (WV), Class of 2016 – Jones is a guard that can literally score from anywhere on the court. He is very athletic and always gets hot from the three-point line. He holds offers from Georgetown, Texas Tech, West Virginia, Indiana, Maryland, Oklahoma State, Virginia Tech, Virginia, VCU, Richmond, Tulane, NC State, Wake Forest, Old Dominion, Cincinnati, Longwood and Missouri. Derrick Jones, Archbishop Carroll (PA), Class of 2015 – Jones is a great dunker. A human highlight film. He can also shoot from long range. He will be headed to UNLV in the fall. Prince Ali, Sagemont School (FL), Class of 2015 – Ali is an efficient shooter, and also knows how to score in many ways. He also is a high riser on the rim. He will be headed to UCLA in the fall. Justin Jennifer, Milford Mill (MD), Class of 2015 – Jennifer is a deceptively quick guard, a great ball handler and isn’t afraid to get into the lane. He will be headed to the University of Cincinnati in the fall. Josh Sharma, Northfield Mt. Hermon (MA), Class of 2015 – Sharma is a good rebounder and has good size for a big. He is also an athletic shot-blocker. He will be headed to Stanford University in the fall. Chris Silva, Roselle Catholic (NJ), Class of 2015 – Silva knows how to finish at the rim. Very aggressive and has a high motor. He will be headed to the University of South Carolina. Moustapaha Diagne, Pope John XXIII, Class of 2015 – Diagne is very mobile in the paint. He has great post moves and is a skilled big man. He will be headed to Syracuse University in the fall. Rayjon Tucker, Northside Christian Academy (NC), Class of 2015 – Tucker is a wing player that is another highlight-reel payer. He is very dominant at the rim. He will be headed to Florida Gulf Coast University in the fall.